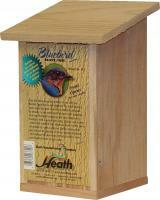 Bluebird House Kit. Great Kid's Project-Easy to build! 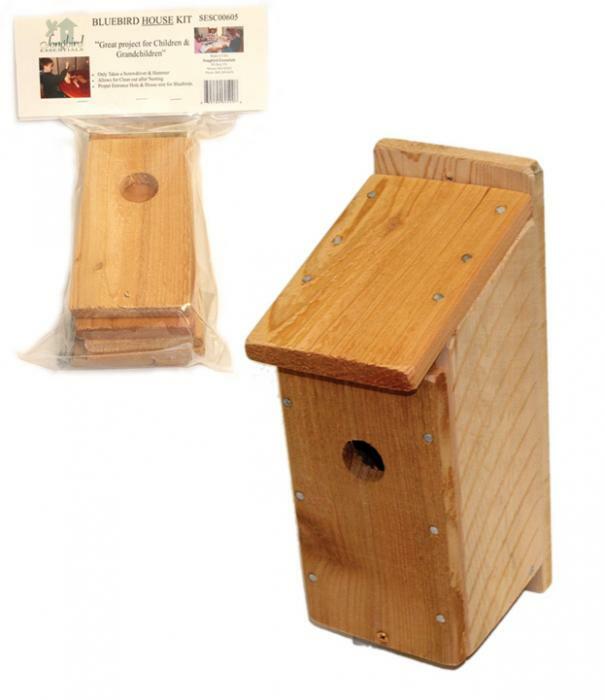 Made in America from long-lasting cedar. Comes with easy to follow instructions. Outside dimensions: 5 1/2 inch x 5 1/2 inch x 13 inch. Inside Floor dimensions: 4 inch x 4 inch. Entrance hole: 1 1/2 inch. 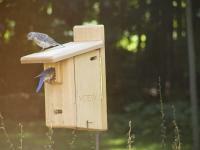 I thought the bluebird house kit was very user-friendly and just ideal for a grandchildren project. We had a great time putting it together. It put together pretty well, for two old people. It looks nice on the fence corner post. 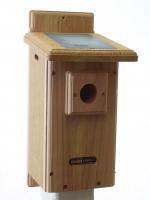 It is not a high end bird box, but very functional. I suggest using your own nails of greater quality - makes hammering them in much easier than the ones that come with the kit. My children ages 8-13 were able to get it done with help. They are up and in use!